Dot’s market is great. All the things that make it a stalwart member of the Bellbrook community are there: Neighbors, friendly workers, local high-school kids bagging groceries, and sometimes even old friends. Dot’s has also been a solid community benefactor: when the high school’s Eagle mascot was stolen, the owners were quick to put up cash to replace it. They always advertise in the local school yearbook. Not surprisingly, perhaps, businesses such as these have become the poster children for grassroots “stop growth” movements who fear competition will force small “Mom & Pop” stores into the dust bins of small town American history. 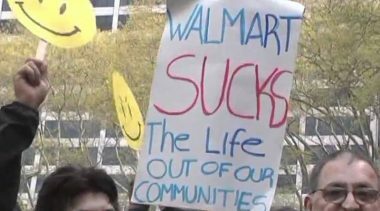 These groups decry the “walmartization” of America: that process whereby larger stores such as Cub Foods, Kroger’s, or Meijer’s eat away at the local store’s market share by offering lower prices and more variety. In fact, this is a growing movement. 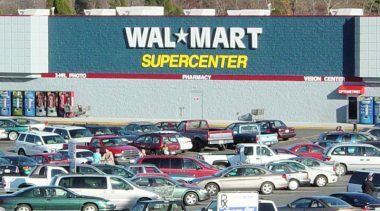 “Sprawl Busters,” a political consulting group that helps grassroots activists stop large, “big box” retail projects, estimates that at least 64 communities nationwide have successfully stopped Wal Mart, Home Depot, and K-Mart from locating in the suburbs. Finding proof that this movement is fairly easy to find locally. Just talk to citizens in Washington Township or real-estate agents for Target department stores. The conventional wisdom is that “big box” competition creates a lose-lose outcome to the community. Big stores eat away at the small-town charm by bringing in large-scale consumerism, and the community receives a double whammy when a valued part of its business and community history closes its doors. 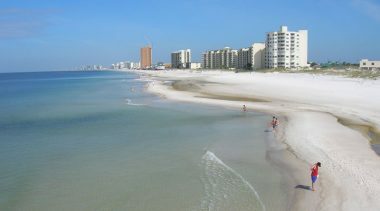 The conventional wisdom, however, may not be all it’s pumped up to be. Take the idea that the Mom and Pop store is “squeezed” out of the market by a larger competitor. The only way this can happen is if existing customers leave the smaller store to buy at the larger store. This must happen repeatedly over a period of time. Otherwise customers will return to the local store; Mom and Pop will continue to go along as before, now a resolute reminder of its value servicing the needs of the community. Customers will leave the Mom and Pop store permanently if competing stores offer a greater variety of products or offer the same products at lower prices. In this case, the community still benefits. Of course, Mom and Pop can do what Dot’s did. Dot’s increased its floor area by more than 40% and added square footage for retail and office space. Now, managers and customers say, citizens have more selection at more competitive prices. Dot’s even has wider aisles that allow it to put out more promotional displays! This probably would not have happened if it weren’t for the competition from Cub Foods, Krogers, Meijers, and other competitor stores in the area. Competition forced Dot’s to re-think its services and products, re-evaluate its customer base and adapt to what customers wanted. Ironically, many of these small town stores were interlopers in their own time. 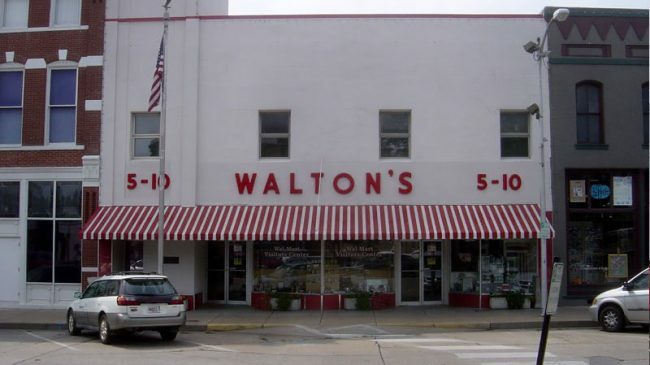 In the 1960s, Luttrell’s Super Value was Bellbrook’s neighborhood grocery store. It was even smaller than Dot’s, had even less selection, and had relatively higher prices. Imperial Foodtown came to town in the 1970s and offered lower prices and more selection. Luttrell’s couldn’t compete and went out of business. (The building now houses city hall.) Now, the Bellbrook community has embraced Dot’s, which took the place of Imperial Foodtown as the community pillar, and Luttrell’s has been all but forgotten. The point of all this is that community’s change. The community lost a valuable citizen in Luttrell’s, but gained a more valuable citizen in Dot’s. More importantly, everyone benefited from Imperial Foodtown’s expansion into town in the 1970s (except the owners of Luttrell’s) as well as Dot’s expansion in the 1990s. Competition increased the quality of life for local residents because food was more readily available, in larger quantities, and at lower prices. Rather than focusing on the relatively small benefits of insulating antiquated businesses from competition, local citizens and public officials should recognize the communitywide benefits that come from new business growth. In most cases, the growth of retail businesses, especially larger chains, enhances the broader community’s quality of life. 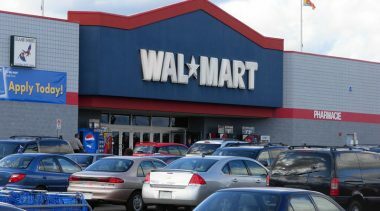 Wal-Mart exists and expands because it provides valuable products to normal, everyday citizens. These benefits should be embraced rather than discouraged.